Torremolinos is a municipality of the province of Málaga. It belongs to the region of the Western Costa del Sol. It is located 13 kilometers from the city of Málaga. It has a population of 67,353 inhabitants that doubles during the summer vacations, and an area of 20 square kilometers. During the 1950s, Torremolinos was a small fishing village that became the first tourist destination in Andalusia and one of the most frequented in Spain. In the old town of Torremolinos is Torre Molinos, a tower of Nasrid origin that gave its name to this population. It is a Muslim defense building constructed in the 14th century. It is 12 meters high and is located on a cliff, so it offers exceptional views of the coast. Centro Cultural Ruiz Picasso has been Bien de Interés Cultural since 1990. It was built in 1935 in the middle of a garden overlooking the sea. Casa de las Navajas is a Neomudéjar building built in 1925. It was declared Bien de Interés Cultural by the Consejería de Cultura de la Junta de Andalucía in 1991. It is a small residential palace that was used to grow sugar cane. It is situated on a cliff facing the beach of El Bajondillo. Palacio de Congresos y Exposiciones de la Costa del Sol is a convention, congress, events and fair center that opened in 1968. The building has three auditoriums, several exhibition halls and 1.8 hectares of gardens. Palacio de Congresos y Exposiciones de la Costa del Sol is part of the World Tourism Organization. Torremolinos holds 7 temples. The oldest one is iglesia de San Miguel, built in 1718, located in Plaza de los Santos Arcángeles. In Iglesia de la Virgen del Carmen you can see an image of the patroness of Torremolinos. The cuisine in Torremolinos is quite varied, characterized mainly by seafood. Andalusia, in general, is the community par excellence of fish plates. In this sense, we find sardines, seafood and crustaceans, coquinas, prawns, navajas, carabineros, pescado a la sal or pescaíto frito. We also find the typical roasted peppers salad and tortas de Torremolinos. During the summer months, paellas are never missing, being one of the most typical meals of any tourist, both national and foreign. Regarding climate, the maximum average temperature in Torremolinos is 30ºC and a humidity of 75%. Rain arrives between November and February. The economy of Torremolinos is based on tourism. It has more than 20,000 rental accommodation options and a significant number of restaurants and shops. Most of its income derives from its nightlife, where tourists visit the bars and discos of the municipality. 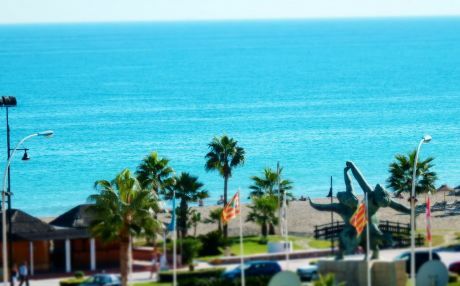 Torremolinos has almost 7 kilometers of coast, being one of its main attractions for its locals and tourists. It holds urban beaches that are accessed through the Paseo Marítimo, wihich has dark sand and moderate swell. The most popular beaches are playa de El Bajondillo and La Carihuela, both located in the center of Torremolinos. El Bajondillo is more than one kilometers long and 40 meters wide, while the Carihuela has the same width but 2 kilometers in length. Other beaches in Torremolinos are Los Alamos, Playamar, Montemar and El Saltillo. Another of the places where children have a great time is Jardín Botánico Molino de Inca, located in the springs of the municipality. It holds more than 150 palm trees of 50 different types, 300 trees of 60 different species and 400 different shrubs. In Pinar de los Manantiales, next to this Botanical Garden, can be found the so characteristic springs of Torremolinos. El parque de La Batería is perfect to spend a family afternoon. It has a navigable central lake and a tower with a viewpoint from where you can see the whole coast. Aqualand water park and Crocodile Park are also located here. After you’ve booked your rental apartment and packed your suitcase, it is time head to Torremolinos. If your starting point is the Spanish capital, Madrid, the fastest route is by the A-44, (though it includes tolls). Other options are to take the A-45 and the A-5. If you leave from Valencia, you can take the E-15, the A-92 or the A-3. All of these routes take about the same. From Extremadura, you can go directly from the A-45 or access to it from the N-432. Alternatively, you can take the A-66 and A-92. 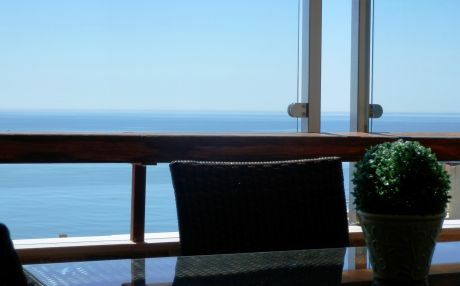 The trip to Torremolinos will become simply perfect if you book your rental accommodation with TripKay. 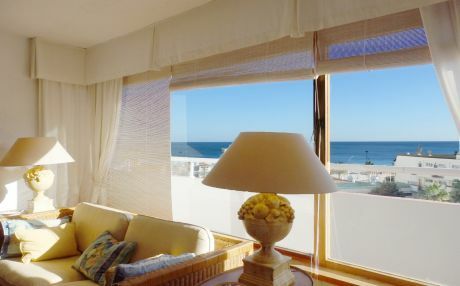 We work with top suppliers to offer you the exact rental apartment you are looking for: fully equipped and well kept up. In addition, we have a wide experience in the rental of accommodation field, knowing in depth the usual needs of our customers. We care about your comfort, answering all your questions and / or requests to find the perfect rental apartment.